I'm not exactly sure if this is an official poster, but I think it's worth sharing just because of the idea behind it. Designed by AUGE, here's the link to their website. 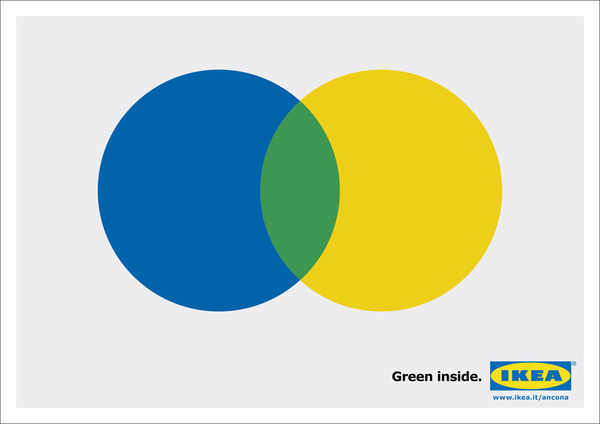 Very cool.. A very simple way to ask - How is Ikea 'green' .. blue and yellow!